In light of shrinking government budgets, an increase in extreme wealth, and stories raising the alarm about threats to American democracy, how are foundations engaging with U.S. democracy? The simple answer is: in many ways! Foundation Center, in partnership with eight foundations, developed the Foundation Funding for U.S. Democracy data visualization platform to help answer this question. 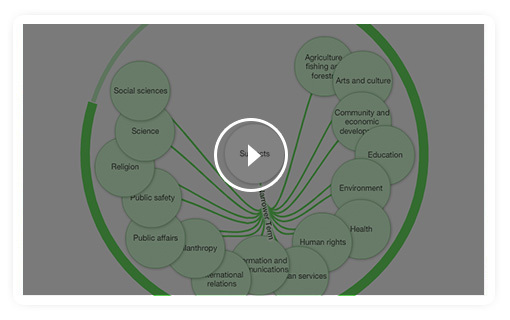 This publicly available tool captures the range of democracy-related activities that foundations have supported from 2011 to present. Each year, community foundations in the United States and across the globe invest billions of dollars to address the important issues affecting their local populations. As organizations that are especially in tune with the challenges facing their local communities, how can community foundations better inform their own grantmaking efforts? Who else has given funding in support of the populations they seek to serve? Are there gaps in funding that should be addressed? Join us to learn how to answer these questions and more. We will provide a tour of Foundation Maps, and show you how to use it to identify gaps in funding, contextualize your own grantmaking, and how you can coordinate with other organizations to achieve greater impact in support of your local communities. Every year all over the world, youth invest hundreds of thousands of dollars to make change in their communities. They empower themselves through youth grantmaking programs that strengthen their independence, leadership development, and decision-making power. Who is supporting these youth philanthropy programs? What causes are youth funding around the globe? Join us as we explore the new YouthGiving.org funding map to illuminate the landscape of the youth giving movement. Find out how you can visualize your networks, discover new connections, identify gaps and opportunities, and uncover exciting trends in youth philanthropy. Looking for funding or partners in all the wrong places? Interested in going beyond the usual suspects to collaborate with? Attend this session to learn how to maximize the power of the enhanced Foundation Maps for U.S. Veterans and Military Families to identify potential funding partners or grantees, near and far, who are working on issues similar to your own. Learn to use advanced network mapping features like Constellations to help you identify peer connections and surface potential opportunities. Now with more than 31,000 grants totaling more than $1 billion in grantmaking, Foundation Maps for U.S. Veterans and Military Families is the most comprehensive place to find out about grantmaking on veterans issues you care about. Every year, billions of dollars are distributed in response to disasters and humanitarian crises. How much of this comes from foundations? What are other sources of funding? How much funding addresses long-term recovery and disaster preparation, in addition to emergency response and immediate relief? 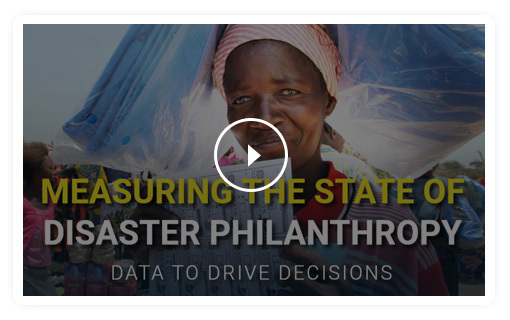 To help answer these questions, Foundation Center partnered with the Center for Disaster Philanthropy to create the Measuring the State of Disaster Philanthropy mapping platform. Join us for a tour of this online tool that captures the myriad disaster-related activities that donors have supported over the past five years. By increasing knowledge about disaster giving, philanthropists, government agencies, and NGOs will be better able to coordinate their work and make more strategic decisions, ultimately resulting in more effective disaster philanthropy and assistance. Nearly 5,000 foundations have given $880 million to programming supporting U.S. active-duty personnel, military families, and veterans since 2003. Is your organization funding or working with one of these populations? Are you wondering, who else in your region cares about these issues, who might be a natural collaborator, and how to map your network? Would you like to tap into available resources to increase your impact or look for new sources of funding? Foundation Center, National Association of Veteran-Serving Organizations (NAVSO), and Council on Foundations co-present a webinar on Foundation Maps for U.S. Veterans and Military Families. Join us to learn more about this data visualization platform for funders, nonprofits, journalists, and anyone interested in understanding philanthropy’s support of this population. What’s New With Foundation Maps? At Foundation Center, we are constantly iterating and working on improvements for Foundation Maps. Join our vice president for data and technology strategy, Jake Garcia, to learn about what’s new in this latest release. He’ll go over recent enhancements, including a spike in data, auto-classification, new advanced search functionality, and information on international programs. We also want to hear from you about what you’d like to see and how you’re using Foundation Maps to inform your work. Don’t miss this in-depth tour of Foundation Maps with one of its lead developers to gain a richer understanding of what this powerful data visualization platform can do. Celebrate Women’s History Month by exploring funding for women’s issues on Foundation Maps. See what ecosystem of interconnected players support the lives of women and girls around the world and find out how to identify top funders and top recipients for different regions. Learn more about the nature of grantmaking from women’s funds and foundations and see who supports organizations led by women and girls. Join us for this informational demo of the Foundation Maps Professional platform through a gender lens! 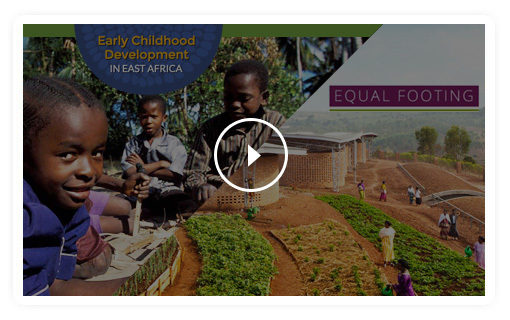 Foundation Center recently launched an interactive funding map showing how much foundation and bilateral giving is going to organizations working to improve early childhood development in eastern and southern Africa. This webinar will cover the many ways that the information on the map can serve grantseeking organizations. We’ll also provide an in-depth look at Foundation Maps, the platform that powers this and other custom maps and serves as a rich source of information on philanthropic funding globally. You’ll learn how these resources can help you identify potential sources of funding and understand the giving landscape. 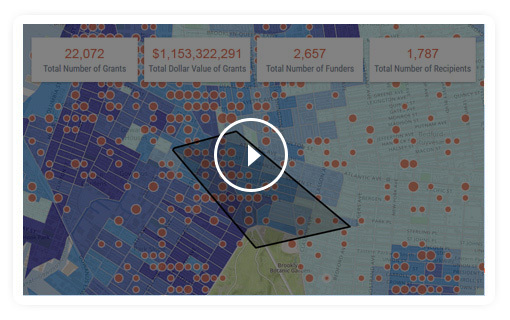 Join us for a look inside Foundation Center's premier data visualization platform, Foundation Maps. In this interactive role play, Foundation Center staff show you how to make the most of all the features Foundation Maps has to offer. You'll come away from this session with a deeper understanding of how you can tailor this tool to serve your needs whether you’re on the program team at a foundation, contribute to membership engagement at a philanthropy network, or work in development for a large or small nonprofit. This session was originally presented at Network Days, an annual convening of Foundation Center’s Funding Information Network staff. The Funding Information Network is a network of libraries, community foundations, and other nonprofit resource centers across the U.S. and around the world that provide Foundation Center resources to the public. 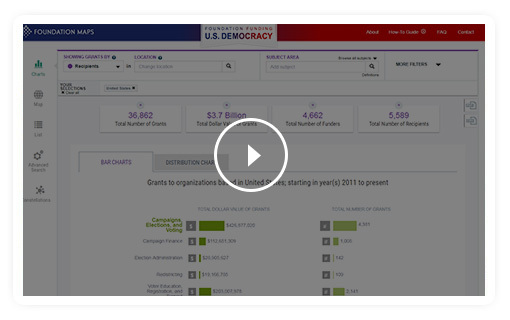 Is your organization funding or working to strengthen American democracy? You’ve probably raised questions such as who else is funding the issues I care about in my state, how do I tap into available resources to increase my impact, and what would a map of my network look like? 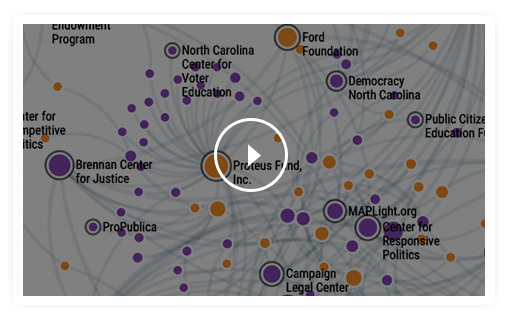 Foundation Center launched a new data visualization platform for funders, nonprofits, journalists, and anyone interested in understanding philanthropy’s role in U.S. democracy that can help answer those questions and more. Join us for a look at how Foundation Funding for U.S. Democracy can help funders and grantseeking nonprofits broaden their knowledge of the funding landscape, identify additional funding sources, and understand where their philanthropic dollars can have the most impact. Data that helps funders to locate their philanthropy within the broader funding context can be very useful — especially when working across borders. Knowing who is funding what and where can help funders to see the bigger picture, discover new partners for collaboration, and apply lessons learned to increase the impact of their work. Foundation Center launched two new custom mapping tools to deepen our understanding of funding that targets issues affecting African communities. 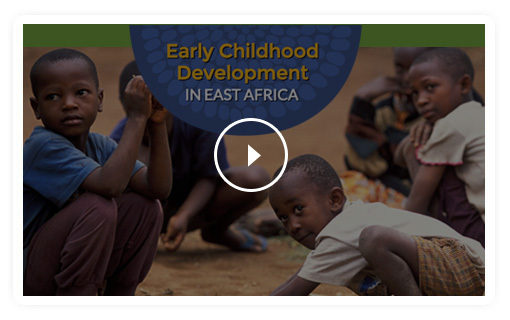 Early Childhood Development in East Africa shows foundation and multilateral and bilateral funding for early childhood development in countries in East Africa. Equal Footing shows funding across a range of issues in Burundi, Democratic Republic of the Congo and Rwanda. Watch this webinar recording to learn how both tools can help funders to deepen their understanding of the funding landscapes in Africa and inform their grantmaking. This webinar is a collaboration between the Africa Grantmakers' Affinity Group and Foundation Center. Looking for funding in all the wrong places? Interested in going beyond the usual suspects on your foundation prospect lists? Attend this session to learn how to maximize the power of Foundation Maps Professional to identify potential funding partners, near and far, who are funding efforts similar to your own. 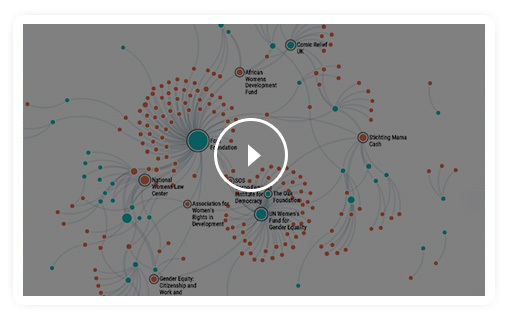 Learn to use advanced network mapping features like Pathways and Constellations to help you identify peer connections and surface potential opportunities to be introduced to new donors. You will also learn how to use the demographics overlay to assist you in planning and in completing proposal applications that request diversity data for the areas you serve. Foundation Center is committed to adding new data sets and enhanced functionality to Foundation Maps. In the coming weeks we’ll be adding new types of data, including program-related investments, and thousands of new funder profiles to our latest upgrade of Foundation Maps Professional. 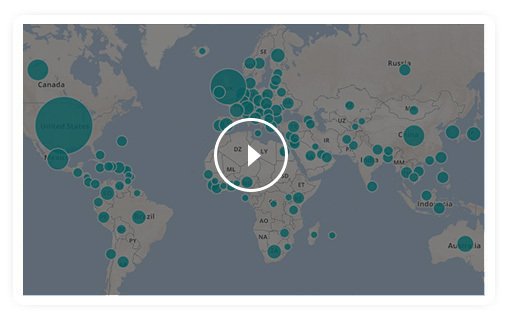 Come learn how this constantly improving data visualization tool can support you in your work. How can Foundation Center’s new and improved Philanthropy Classification System serve you in your work? With new dimensions, such as Support Strategies and Transaction Types, and expanded Subject Area and Population Served categories, you can get a richer picture of the philanthropy funding landscape. We’ll also go over other Foundation Maps enhancements, including more robust funder profiles, streamlined Constellations, and printable Subjects charts. Come learn how you can use the new taxonomy to get the answers you need and make the most of this powerful data visualization platform. Foundation Maps: Human Rights is a custom mapping tool to help grantmakers better understand the global human rights funding landscape. In this webinar, Christen Dobson, Program Director at the International Human Rights Funders Group (IHRFG), a membership organization for human rights funders, will talk about how and why this custom map was developed, take you on a tour of the map, and share how IHRFG members are using it to inform their strategic planning. Learn how custom versions of Foundation Maps provide powerful learning tools for foundations and affinity groups working in a shifting political climate. 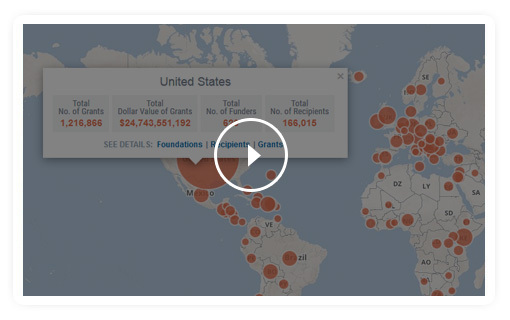 Foundation Maps Professional is a powerful tool for seeing who is funding what and where in the U.S. and around the world. During this webinar we will provide an overview of its many features and showcase how it is being used for scanning by funders, member support by funder networks, client service by consultants, and fundraising by nonprofits. 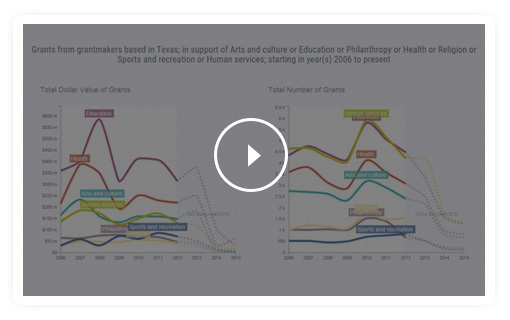 See how you can bring philanthropy data to life with beautiful visuals for your website, presentations, board meetings, and annual reports. 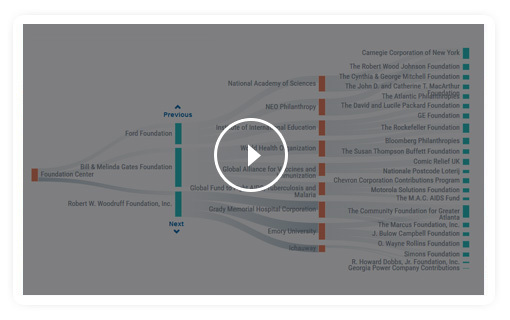 During this webinar we will provide an overview of the many features Foundation Maps Professional has to offer and showcase a few ways that foundations and grantmaker networks have customized Foundation Maps to demonstrate their impact. How can you use data to make better informed decisions, tell inspiring stories, and map your network to discover new points of connection? 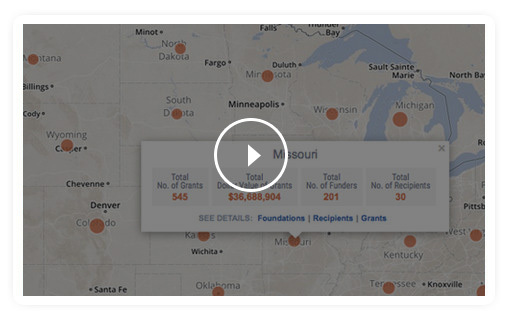 Come find out how philanthropic professionals can use Foundation Maps Professional's new state-of-the-art data visualization features including Area Served and Constellations to find answers to these questions. Access to comprehensive funding data — and ways to make sense of that information — is essential to understanding the field of philanthropy, an organization’s own place within it, and new opportunities to make a difference. 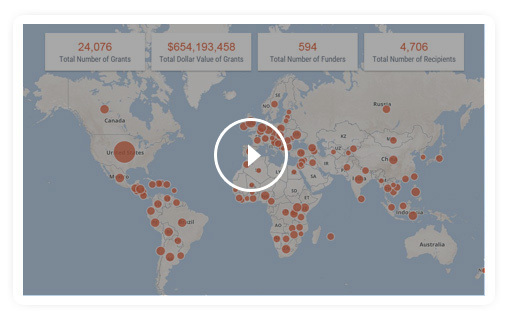 Foundation Maps is Candid’s premier data visualization tool and the easiest way to see who is funding what and where around the world. 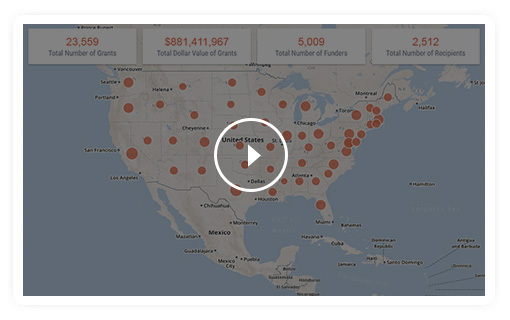 With millions of grants from 2006 to the present, innovative ways to visualize funding data, and the flexibility and precision to tailor research, Foundation Maps helps funders and nonprofits access the knowledge they need to make strategic decisions and strengthen their impact. Every year, millions of nonprofits spend trillions of dollars around the world. Candid finds out where that money comes from, where it goes, and why it matters. Through research, collaboration, and training, Candid connects people who want to change the world to the resources they need to do it. 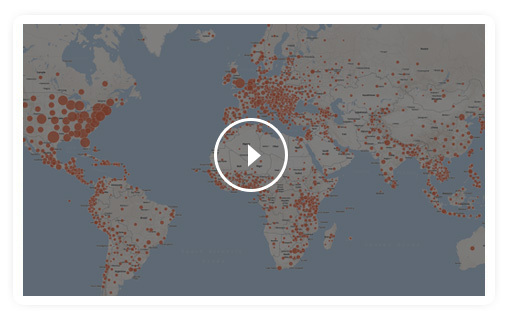 Candid’s data tools on nonprofits, foundations, and grants are the most comprehensive in the world. Thousands of people visit Candid’s resources each day and are served at more than 400 Funding Information Network locations nationwide and around the world. Find out more at Candid.org.